He sat at the round bistro table, feet dangling from his chair. His white socks stretched to his knees, legs swaying, eagerly waiting for a slice of pizza to satisfy his little appetite. His tiny mouth puckered around the tip of a straw sipping orange soda while his big, round, dark eyes looked sideways toward his daddy. He sipped then spoke, sometimes placing his little face in front of his daddy’s eyes. Deep in conversation they were. The little one asking questions about many topics. He had an array of queries about history, math, sports — you name it — he was covering everything and his daddy paid close attention to every detail of every sentence. Never once did I see a smart phone sitting on their table or in the hands of the father. Not even to record the special moment with a snap of the camera. His undivided attention focused on his son. The little one with the dark spiked hair and toothless grin was of utmost importance to his daddy and the little guy was comfortable in his presence. 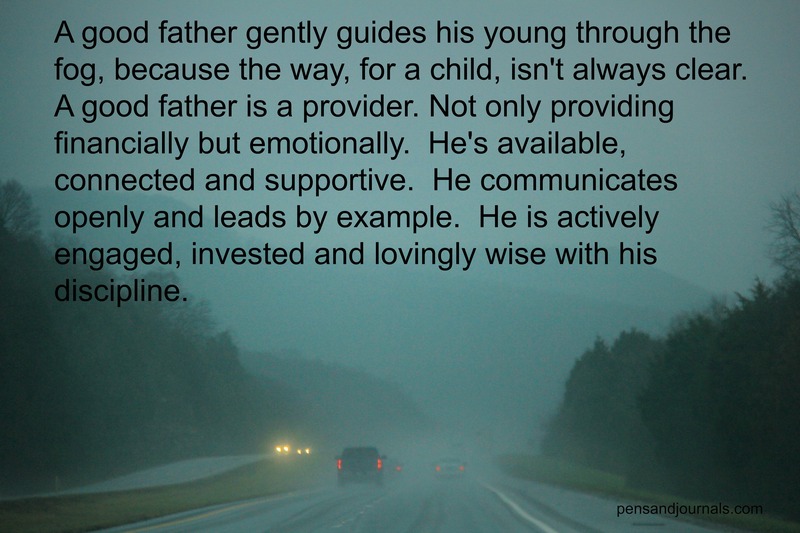 If he squirmed or got restless, his daddy responded with gentleness for his son to stay patient for just a little longer. He watched his father closely and emulated him. Where his dad placed his napkin, his fork and his drink, the boy did the same. The daddy leaned toward his son, smiled and wiped a little sauce from the boy’s face. The loving affection for his son was clear and the son sat securely and comfortably in that love. Is my relationship with my Father in Heaven that comfortable? Jesus called God the warm; intimate child-like Aramaic word, Abba Father, a tender, endearing name (like papa or daddy would be). It’s a perfect example of the affectionate, dependent relationship He had with His Father. And He wants that for us too. No lofty prayer, no special words, no cleaning up is necessary before we sit in our Father’s presence. He’ll wipe our stains clean through Christ. We can just be ourselves. We can ask questions. We can share our needs. We can say thank you for His unconditional love and for His constant encouragement to reach higher and become better. And even when we don’t speak, He reads our hearts and responds to our deepest needs. The good Father challenges us to let go of indifference and to reach, stretch, share and love — like He does. The hard places discipline us under His careful watch and lead us to say yes to His yes instead of shaking our heads in defiance. When we say yes to His yes, I bet He smiles. When He says no to us, I hope we understand that He has only our best interest in mind. When we ask Him for our heart’s desires, sometimes His answers come as YES, sometimes they come as NO and sometimes they come as NOT NOW — just wait. But it’s not about the answers. Not really. It’s about Him and our relationship with Him and when we realize that’s all we really need, it becomes enough.